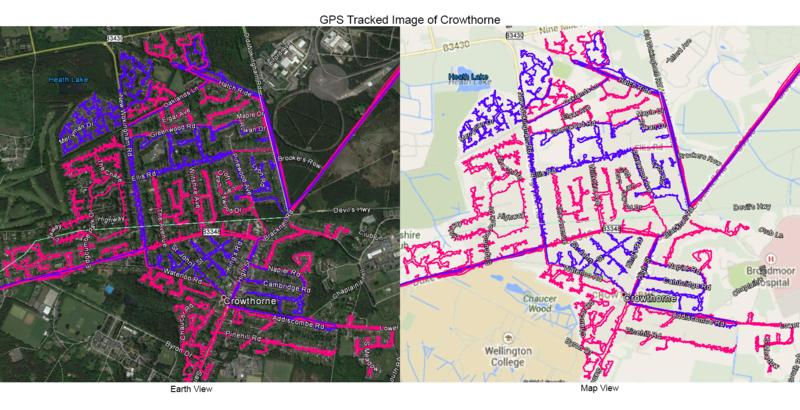 For trustworthy, reliable and affordable GPS tracked leaflet distribution Crowthorne RG45, Abracadabra Leaflet Distribution can help you achieve new heights with your direct mail distribution campaign. We understand being ahead of the competition is extremely important in today’s market and marketing your product to the right client can be daunting. By providing quality services at competitive prices, we aim to make it a simple and seamless experience for you. We provide design, print and leaflet distribution services, all under one roof. Because we have invested in the latest GPS tracking technology, you have complete peace of mind that all your leaflets have been delivered as the post delivery report gives accurate tracking results for your leaflet delivery. As proud members of the Leaflet Distribution Organisation (LDO), we follow their ethical code of conduct which will help give you added peace of mind. But don’t just take our word for it – see what our clients have to say about us by visiting our testimonials page! FREE region and postcode specific demographic information through our geoplan software, as shown in the example image below. 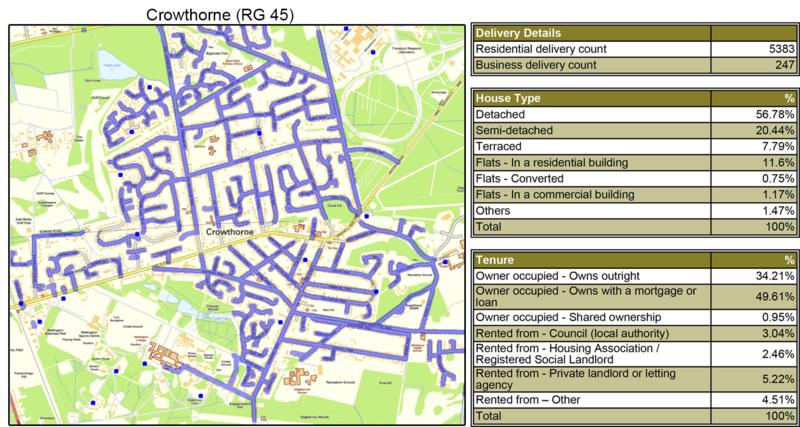 Crowthorne is an affluent village in the Bracknell Forest district of south-eastern Berkshire and we can cover leaflet distribution Crowthorne in the majority of the RG45 postcode. Make the most of your promotional campaign through our custom-made leaflet printing and distribution package. You can get an amazing discount when you order both flyer printing and distribution from us. We also have an in-house graphic design team. With a high track record of repeat business you can be sure of a great service.